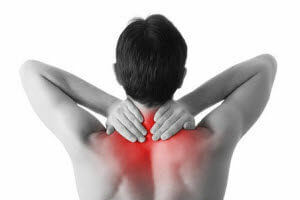 Upper cervical chiropractic care is a form of healthcare that is gaining in popularity. It allows men and women of all ages to regain their health. So what is it? Basically, this type of care is when a chiropractor reduces nerve irritation in the brain stem to improve communication between the brain and the body by realignment. It is a natural alternative to invasive procedures. In 2005, the CDC reported an estimated 5 million adults with Fibromyalgia. Now, we are seeing fibromyalgia patients turn to this form of chiropractic care to help alleviate some of the pain and other symptoms associated with their health condition. As more patients suffering with this condition seek more natural alternatives for treatment, upper cervical chiropractic care remains a highly requested form of treatment. Unless you have fibromyalgia, you may not understand why it causes so much discomfort and pain for patients. It is associated with a group of other symptoms that many confuse for other illnesses. However, it is categorized by extremely intense muscle aches, and very distinct points of pain in specific muscles on the body. These are hallmark symptoms of fibromyalgia. “Fibro hotspots” refers to these pain points. They are also considered to be instrumental in receiving a fibromyalgia diagnosis. For a lot of patients, these pain points can bring about such intense pain, they can only be touched with very light pressure. Other symptoms can plague patients who can endure touch and interaction. Headaches, fatigue, tingling, numbness, irritable bowel syndrome and insomnia are common. Fibromyalgia does not have a single cause according to modern medicine. This seems logical because no two patients may have the same symptoms. However, it is frustrating for patients who are seeking answers for their chronic illness. They are seeking solutions so they can live a normal life, but the reality is that it will probably take several lifestyle modifications and overall changes in their health regimen in order to help the body fight off fibromyalgia symptoms. Are There Medicines and Medical Treatments? As of today, there is no cure for Fibromyalgia. Physicians are treating the symptoms with certain medications. For example, Lyrica helps some Fibromyalgia patients by calming nerves that cause pain. There are other medications that can help with pain, anxiety, depression, and sleep problems. Physicians also say that diet, exercise, and physical therapy help fibromyalgia patients as well. The patient is better off working one on one with their physician to determine what’s working best for their individual symptoms. Why Does Upper Cervical Chiropractic Care Seem Like A Good Treatment Option? When there is a miscommunication with the nervous system and the muscle systems of the body, recent studies show that fibromyalgia causes muscle pain. The nervous system appears to send too many signals throughout the body and this causes a buildup of lactic acid and tension in the body. Upper cervical chiropractic care offers significant pain and symptom relief by realigning the junction between the skull and head. This allows the brain and the body to communicate more freely without interference. Upper cervical chiropractic care realignments and corrections can help offset some of the pain associated with fibromyalgia. In combination with lifestyle changes, patients are able to manage their fibromyalgia symptoms. Fibromyalgia sufferers in the greater Atlanta area can call (404) 345-1609 to contact our office to schedule an appointment today. Start your upper cervical care and get pain relief today.